Remodeling of the house is a tiring and expensive job. It can even end up into a thankless one if you don’t get the desired results. Therefore, one needs to consider several things before getting on the uphill task of house remodeling and renovation. Among important factors regarding remodeling of the house, its expenditure is undoubtedly the most important one. People save money particularly for their remodeling expenses. Some even go out of way and even spend loaned money on remodeling and beautification of the house, which is not the wisest thing to do. Saving money on remodeling chores never ends in disappointment. How one can be disappointed in improving the structure of their house while simultaneously saving some bucks? Here, we are sharing few tips and hacks to save money on your next small-scale remodeling plan. Prior to your remodeling plan, make some visits to garage or yard sales because they are a good spot to buy useful domestic items at considerably low prices. You can find hardware articles, bathroom fixtures, cabinets and tiles in very cheap rates from these sales but you have to extensively search through the items to find some best deals of money. You can also save money in the area of labor cost if you are literally willing to take the matter of remodeling in your own hands. In the age of internet, every remodeling assignment can be learnt online through tutorial videos and blogs. 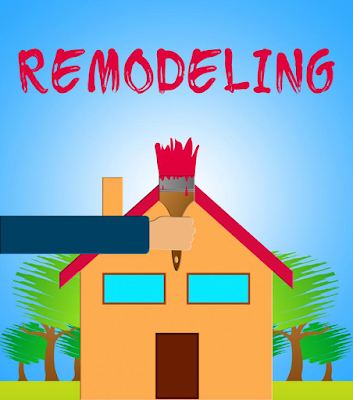 If you have time on your hand, then you can certainly save a whole lot of money by cutting the laboring cost of remodeling. When people run out of money, they get some remodeling stuff on loan or credit to complete the remodeling as soon as possible. It might help you in wrapping up your remodeling in the given time, but it will unnecessarily increase its cost. Wait till you have saved enough money so that you don’t have to confine to items purchased by borrowed money. During specific time of the year, you can find certain discounted deals and offers on domestic items. For instance, if kitchen is your main focus in the next remodeling, try to plan around it during the time when stores dealing in kitchen accessories are offering some considerable discounts on their products. For some home articles, going with knock-offs is not a bad idea at all. They provide you with best deal of good cost and equally good functionality. Let’s take an example of oak flooring; the imitation variants are nearly 400% cheaper than the original ones while providing the same functionality and aesthetic appeal! Also try to stick to the standard sizes instead of going with customized options. It has been noticed that customized items are nearly 50-60% pricier than the stock options. By employing all these tips, you can save a lot on your next small-scale remodeling.